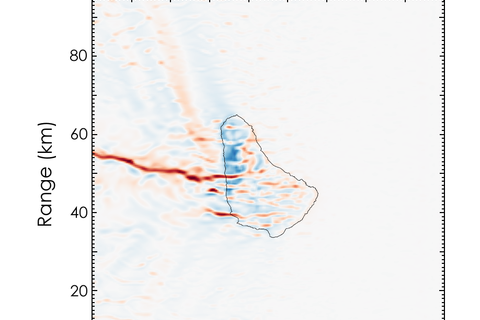 There are two main effects islands can have on boundary layer dynamics: the orographic effect and radiative effects caused by heat and moisture fluxes in the island-ocean system. Barbados as the easternmost Caribbean island is very suitable to investigate these complex effects since there is a relatively constant and undisturbed trade wind flow from the open ocean. 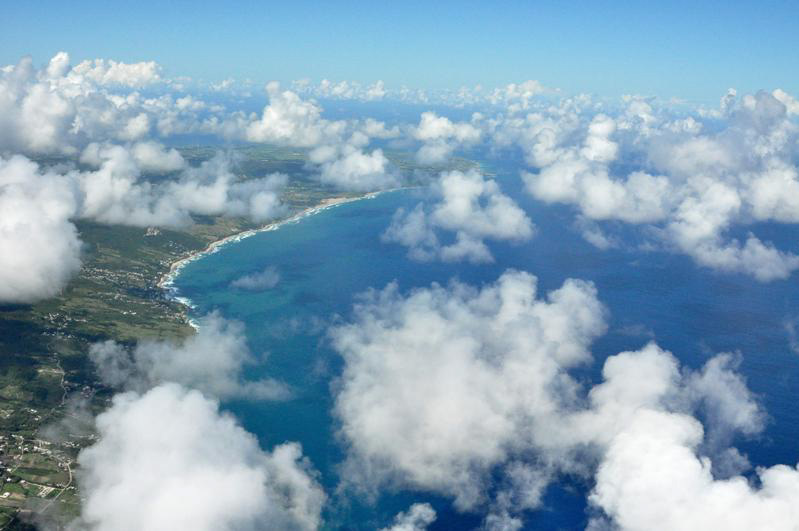 Some examples of atmospheric phenomena related to isolated islands like Barbados are the generation of low-level cumulus clouds (which may develop to cloud plumes/streets), orographic clouds, von Kármán vortex streets or typical sea breeze flow patterns. 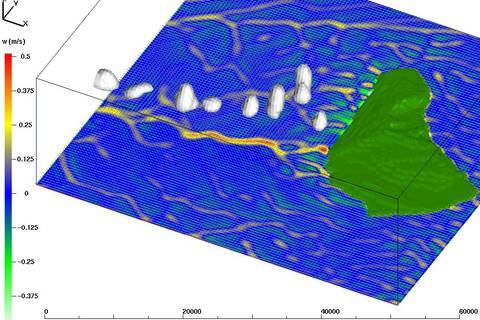 To get an in-depth understanding of these processes, a combination of measurements (ground based in situ, Lidar, Radar, radiosoundings, satellite data) and high-resolution 3D modeling (Large Eddy Simulation) is necessary. For this purpose the model ASAM (developed at TROPOS) is used. 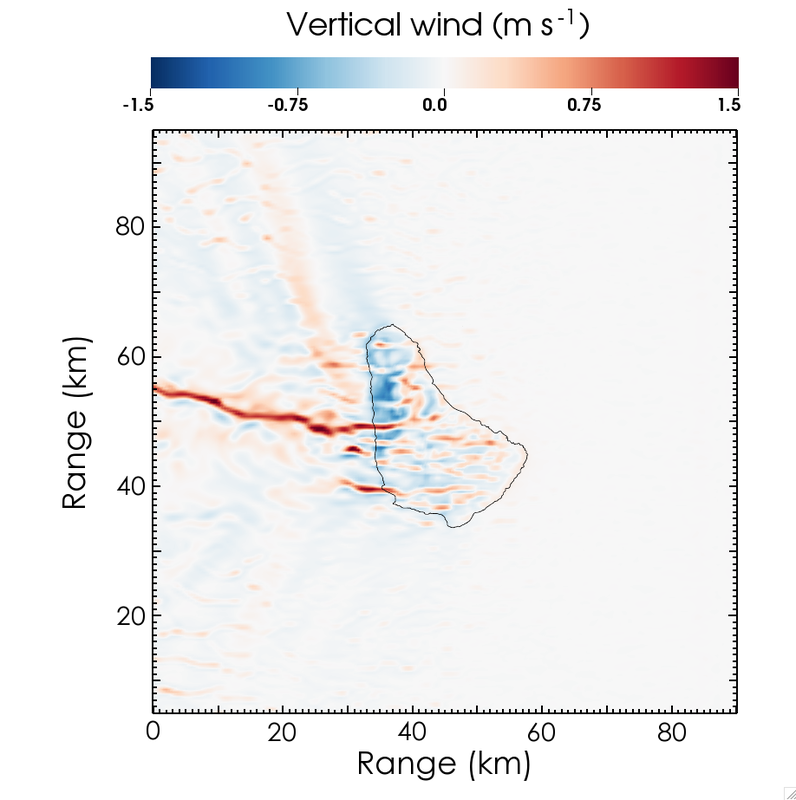 The information from the numerical simulations with spatial scales of several hundreds of meters and inclusion of island orography are the basis for a better interpretation of measurements. Furthermore, vertical profiles from radiosondes, dropsondes and aircraft data serve as initial data for the model. 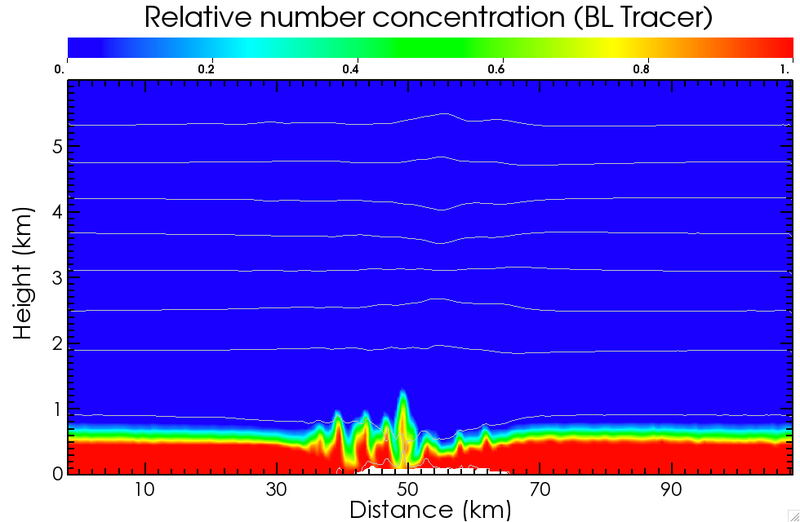 In particular, the distribution of moisture and atmospheric layering are important input parameters for a close-to-reality modeling. With passive tracers as prognostic model variables, conclusions can be drawn how the Saharan dust layers are distributed in space and time. 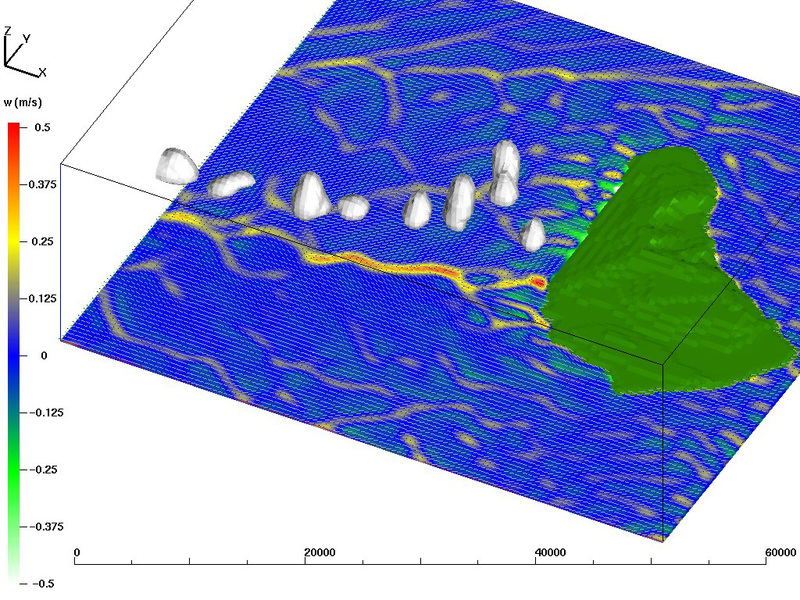 The initial height of these layers can be estimated from Lidar data.